Getting customers to buy something is a lot of work. 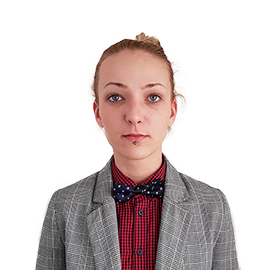 You might spend a ton of cash to get people on your website, but if you can’t convert interest to a purchasing decision, then you have a problem with your sales funnel. But, you think ahead and keep up with trends so what could possibly be the problem? Generating sales online is a difficult process, and you need to nurture it. Consumers make online purchases only after doing massive research on a product or a service. Price, features, and specs are easily available online. So, they have a lot of time to spend seeking answers before making a buying decision. To convert customers, you need to implement a full spectrum of marketing and sales strategies. Creating a sales funnel is necessary for businesses that want better sales performance. 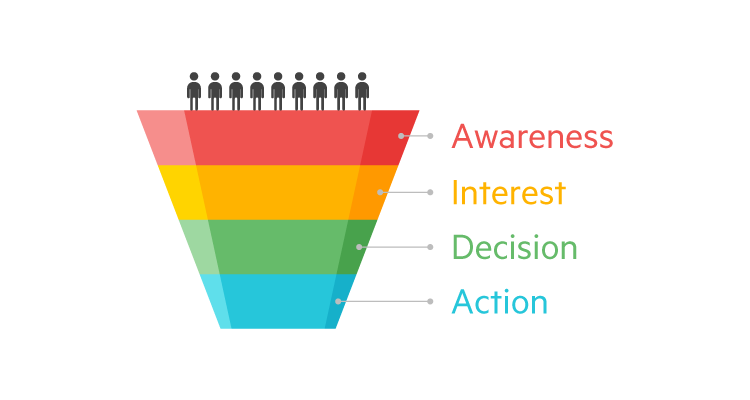 A sales funnel is of the crucial importance of every digital marketing strategy. It serves buyers to attract them towards your product. During the whole process, a big chunk of data is collected, enabling businesses to achieve more optimization on the customer journey. The sales funnel is made up of four steps. This is the first step that a business takes to draw in customers through their sales funnel. The primary step is to identify a possible problem your customers has and offer them a solution. When a potential customer shows intent for your brand, be it a like and comment on your social media page or leaving the e-mail address to your landing page, a prospect is transformed into a lead. The peak point of every sale funnel is the decision. During this phase, your goal should be to motivate people t wards positive decision using numerous tactics. Finale phase reveals how effective your sales funnel is actually showing you the number of conversions. Your leads will either step away or buy the product. Where Does Live Chat Sit in the Sales Funnel? Your customer experience journey starts by creating awareness among customers about your product, service, and brand overall. Guiding interested customer from awareness to successful action is the communication mix of your digital presence, key communication points and communication hotspots. The gap between the interest and decision is overcome using live chat! There is more to live chat, than technical advancement of your cutting-edge website. 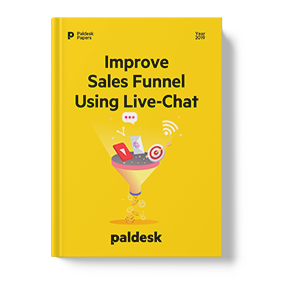 Adding a live-chat feature such as Paldesk encourages and empowers the overall customer experience of your brand. For example, a customer that has an interest in your product is scrolling up and down your website. That customer is already aware of your brand presence and is just a question or two away from making a final decision. “Does this T-shirt come in black?”, “Can I get this before the holidays”, “Will this ring me fit?” must be answered quickly in order for the customers to make a positive decision. The results are in, adding live chat opportunities to your website can benefit your online presence. Most consumers now expect your business to be available 24/7. Success in adding live chat support, as in any other part of marketing, depends directly on the strategy you use during the implementation of it. While live chat doesn’t replace email, phone or in-person communication, it complements these ways of communication well. So, it can help to enhance your sales pipeline management. Its usefulness for your sales funnel will highly impact your customers since agents can guide customers through all funnel phases.